Early Childhood Learning Centers are dedicated to providing hands-on learning experiences that consider the whole child. We believe the foundation for discovery and logical thinking in a preschooler is developed through play and other engaging hands-on activities. It is through this kind of engagement that a child is given the opportunity and the time to ask questions and develop answers to those questions at his or her own pace. Voluntary Prekindergarten or VPK gives children a jump start enhancing their pre-reading, pre-math, language and social skills with programs offering high literacy standards, developmentally appropriate curricula, manageable class sizes, and specifically qualified teachers. Enroll Your 4-Year Old Today! Your child, as a blossoming individual, has his or her own needs and schedule. With this in mind, he or she will be assigned his or her own caregiver who’s day centers around your child’s individual schedule. 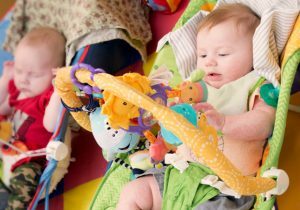 The infant room schedule will consist of meeting your child’s needs for food, diapering, and adequate rest time. Our caregivers plan interactions and activities that will both enhance and encourage the emotional, cognitive and physical development of your child. Our teachers/caregivers provide a cozy, warm, and trusting experience for our youngest students so they feel secure and loved while away from home. Our teachers/caregivers provide a safe and clean interactive setting utilizing proper sanitation measures both consistently and conscientiously. 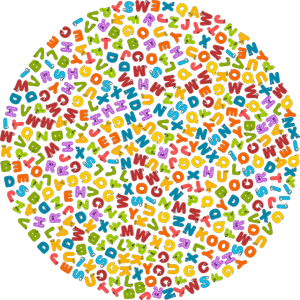 Verbal interaction, conversation, and reading books to assist your child in realizing the power of language. Experiences for crawling, climbing, and rocking to develop gross motor skills. The use of mirrors and mobiles for visual stimulation. Discovery and playtime to encourage exploration. Classical music during naptime and rest time. Encourage mastering self-feeding to develop fine motor skills. The toddler program at Early Childhood Learning Center not only strives to help develop a physically and emotionally balanced child with the skills to succeed once he or she reaches school-age, but we also focus heavily on providing a comprehensive early reading experience as well. Reading is very important and provides toddlers with rich and rewarding experiences! Providing “early literacy” experiences with toddlers helps to build a solid foundation for literacy and is directly linked to your child’s later successes when learning to read at his or her own pace. Reading to toddlers nurtures a love for books and reading and provides an outlet for you and your child to spend quality time together bonding and forging a deep, loving relationship. Sharing books and story time with your child provides opportunities for him or her to participate verbally by repeating words and phrases. Picture books also expose your child to some of his or her first experiences with different types of art and the expression of story with art. Parents who love books and love to read are excellent role models for toddlers and can help their child learn about book-handling and page-turning which further helps to develop fine motor skills. Reading is important and we encourage you to spend quality time reading with your child. 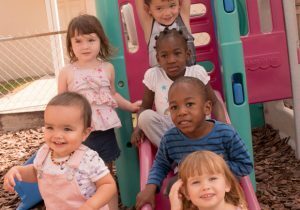 The three and four year old program at Early Childhood Learning Center enhances and puts into practice the knowledge and teaching from the earlier developing years. Our infant and toddler program sets the stage for our three and four year olds to broaden their learning experiences by introducing science, technology, and aesthetic expression, while at the same time using skills already learned at a higher and more challenging level. 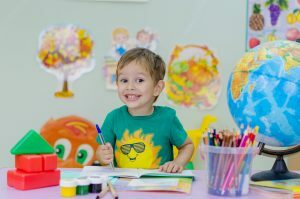 As with our younger levels, it is important in the three and four year old program that children are provided hands-on learning experiences that develop the “whole child.” The teachers work as facilitators providing rich, emergent curricula that allows the child to ask questions and discover his or her own answers. 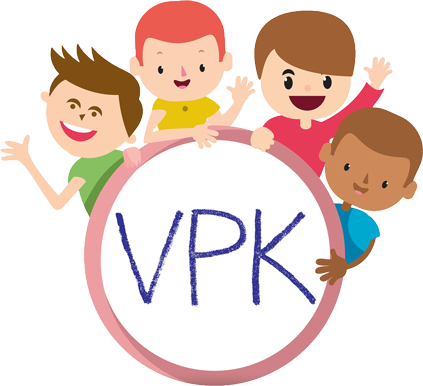 VPK stands for the Voluntary Prekindergarten Education Program. If you live in Florida, and your child turns 4 four years of age by September 1, your child is eligible to participate in Florida’s Voluntary Prekindergarten (VPK) education program. Pre-K prepares children to be ready for school. Children who participate in high-quality early child hood education programs develop better language skills, score higher in school-readiness tests and have better social skills and fewer behavioral problems once they enter school. They are also better prepared for Kindergarten, especially in the areas of pre-reading, pre-math and social skills. Enroll your 4-year-old in VPK today!